So I totally had this wrong in my head when I started stamping....lol. But hope you enjoy anyway!!! No circle punches handy so I have squares. Enjoy! 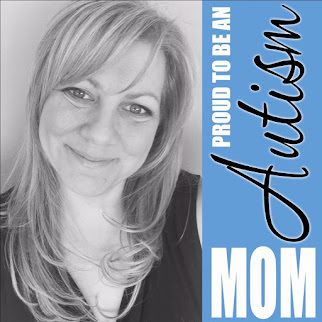 Today I'm featuring Stampin' Up! Kinda Eclectic stamp set. For those that love to use white, and love the quick, clean and simple cards, I think you're gonna love this one. Pretty simple and sweet, clean card today. Cut the panels and then place the focal panel on top of the card base, and do Double-Time stamping with the sunburst so it covers both. Stamp the circles in Crumb Cake. That piece is then raised with Stampin' Dimensionals. Cut the greeting and mat. I didn't have a circle punch handy. Sorry!!! Stamp and cut-out the butterflies. 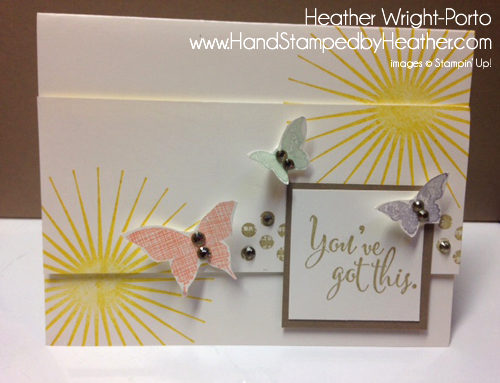 NOTE: I used the stamp-off technique (that's when you stamp on scrap first before stamping the card stock) to make the lighter shades of the butterflies. Do you love Card Classes? YES!!! 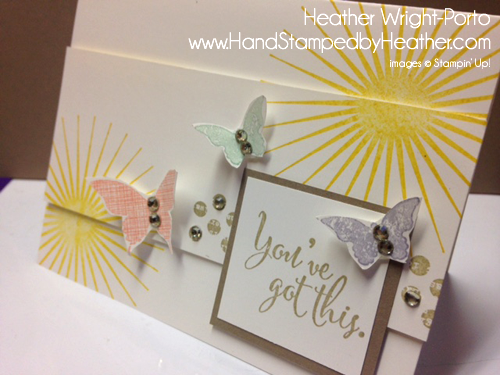 Then come join us at Stamping and Blogging where there is a new card class each month! We have over 35 classes and over 50 stamping techniques for you to learn! Get started today! Love the sunburst.....bring it on. Such a cheery card, well done. Fun, fun, card, Heather! Love the cheerfulness this brings!